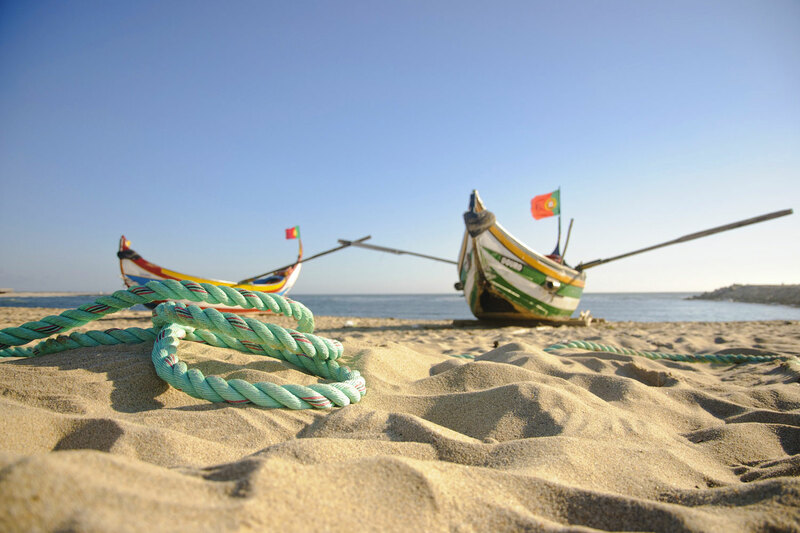 Originally a small fishing village boasting little more than a minor canning industry, the beach resort of Espinho now draws crowds to its golden beach and varied attractions, although the odd colourful narrow fishing boat can still be seen on the sands. Just over 10 miles south of Portugal’s second city, the majority of its visitors hail from the interior regions of the north. However its well-conceived amenities (note the numbered streets), comprising various superior hotels, decent restaurants aplenty (often serving the local, tasty fish stew – caldeirada) and a healthy smattering of lively bars, make it appealing to all. Its exposure to Atlantic breezes and its northern location on the Costa Verde mean that it is most popular in the high summer season when the water temperature is favourable, though other activities, such as surfing, make this an attractive place to visit at all times of the year not least because it is a stones throw away from the busy and beautiful city of Porto. Besides an attractive church, Igreja de Matriz, built in a neo-8th century style in the 1900s, the town itself offers seasonal bullfighting and year-round gambling. The Casino Solverde caters for people wanting to play, dance and eat, as well as offering a nightly slice of cabaret at a decent price. The summer months witness cheery gatherings of revellers inside and outside of the bars in the seafront area of the town, each bar with a distinctive character of its own. A mile or so out of the town, the Oporto Golf Club has been operating for longer than most clubs in the world. Established at the end of the 19th century, it is a breezy course but its proximity to the ocean makes the views outstanding. On a more traditional note, The Feira de Espinho is easily one of the most impressive outdoor markets in the area. Taking place all day on a Monday, and occupying the whole of streets 22, 23 and 24, expect to find local produce, clothes, crafts and bric-a-brac. For a fuller range of locally produced handicrafts head for the smaller (and often seasonal) shops in the centre, where vividly painted models of boats and dolls sporting the traditional regional attire feature among the most popular purchases. In November there is also an annual international film animation festival, the Cinanima festival. Not far away, the remains of a character one of Portugal’s many royal tales lie buried in the 16th century Augustine monastery of São Salvador. Rodrigues Sancho was one of the many unofficial children born of King Sancho, born to his lover the striking girl known as the Ribeirinha. Just to the south of the town is the village of Paramo which is still a typical example of the areas small fishing communities. It also has an interesting archaeological site showing the remains of an Iron Age village, Castro d’Ovil.